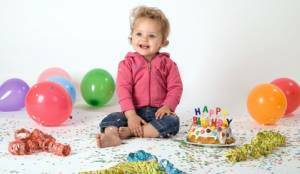 Toddler party ideas for your little party animal! Most toddlers won't yet be able to anticipate all the excitement of the build up to a birthday party. Once their friends arrive however they will definitely enjoy all the fun and games. Parents will stay with their children throughout the party. You will also likely end up with a few brothers and sisters including babies. You will need a place and possibly equipment for nappy changing. Parties in the morning work well (often older siblings are at nursery or school). Don't let your party go on too long. An hour is perfect. Some toddler parties are really laid back affairs. A chance for parents to socialise while their children have fun. Its nice however to give it a bit of structure. Coming up with a few good toddler party ideas is not difficult. The trick is to stick to what toddlers know and love. Basically all the things they do at their nursery , singing club or other pre-school activities. A few well known toddler songs are perfect and to be honest all you really need. Sitting on Mum's lap, doing the actions to funny rhymes, that you already know from nursery, is the height of sophisticated entertainment for the average party toddler! If they are a little bit older adding a few simple toddler party games into the mix can really be the business! Tip - Have a little plan of songs and games you can do. Its a good idea to write this out as its easy to get flustered. Its not set in stone and you don't have to do everything on your list. But having some ideas jotted down is a big help. What is needed is for you (or a friend if you are a shrinking violet) to take the lead. Monkey Business Invitations - This is a great site for unique party invitations. The invites can be easily customized for any party theme or birthday boy or girl.